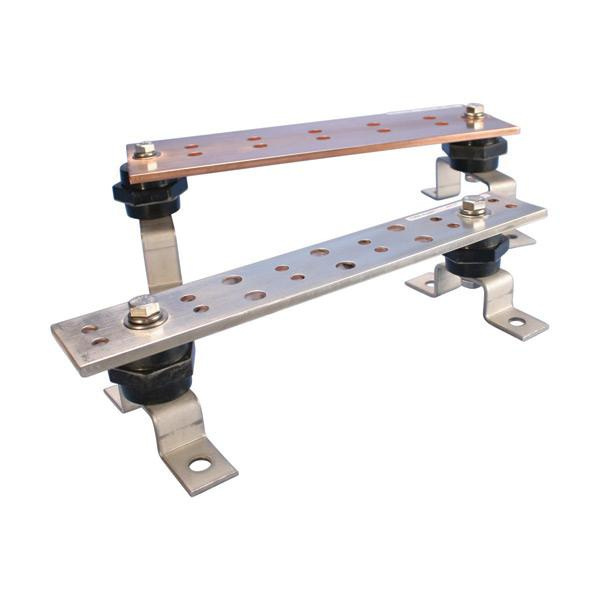 Erico Telecom grounding busbar features copper construction with tin-plated finish. It measures 24-Inch x 18-Inch x 2-Inch x 1/4-Inch. It accepts 2-Hole lugs with 5/16-Inch or 7/16-Inch bolt holes. It has 14-pair hole of size 5/16-Inch and 3-pair hole of size 7/16-Inch. Busbar is cULus listed and meets TIA-607-C, BICSI®, NEMA standards.